This is a continuation of the thread located here. Due to some issues, MightyPork can no longer use the forums. I now maintain the MinecraftForums branch of RPW. MightyPork is still active on PlanetMinecraft and the official Github. This wallpaper I made is free for download and stuff! 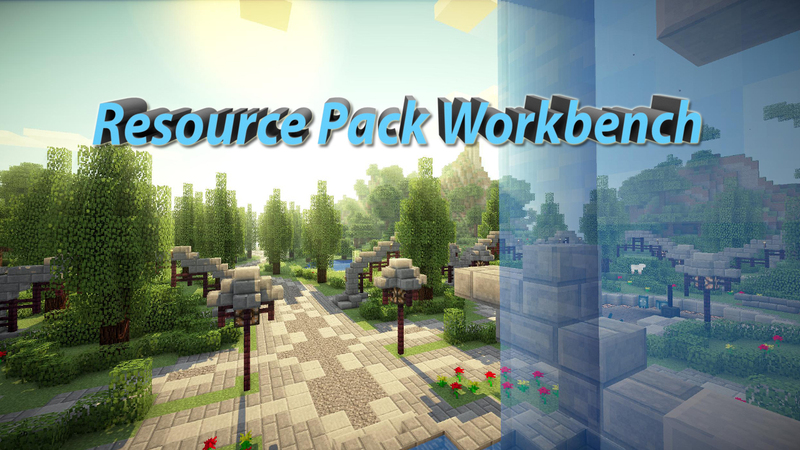 ResourcePack Workbench, or RPW, is a tool to make creation of Resource Packs easier. It is a Java application, just like Minecraft, so it should run everywhere - Windows, Linux, Mac. It lets you eeasilycombine packs, create new ones, edit texts and images etc (with the help with external editors, or for texts, the built-in one). RPW comes with a Project system, so you can work on more packs at once, and keep them in separate folders. It was made on Linux and uses GIMP for editing the images. see them, use the "Show tech files" toggle in the View menu! This includes models, block states etc. Follow @RPWapp on Twitter for update news & tips! Contact the developers by email! MightyPork is in Europe, Jiggy12321 is in the US. Please be considerate. We need our sleep too! RPW by Jiggy12321/MightyPork is licensed under a Creative Commons Attribution-NonCommercial-ShareAlike 4.0 International License. Arch Linux users can get it from AUR! OS X Download is now 4.2.0! Hooray! You must allow apps from untrusted sources! - Fixed bug #45 "Sound Wizard not working"
- Added toggle for "auto save"
Older changelogs can be found here. That's too bad that MightyPork got banned. I need your help. I'm trying to combine two resource packs but whenever I try to open a resource pack file on RPW it doesn't add the whole file to RPW to edit it, it just narrows down the file to the files inside the file, and then it keeps doing that until its only one file left. I'm sorry if I didn't make that clear, its hard to explain so I'll give you an example. I click "Create new project", then I select "Project from resource pack", then I select the pack file I want to edit and click "Open", but instead of being able to edit the pack now, it goes to the files inside the pack like the assets file. It works when I try to open a .zip file, but none other files work. I'm doing this on a Mac if that helps you. Quote me or click the "reply" button or I might not see your reply. Those are a couple things that are changing. If you wait a little bit, I can try and do what you do on my Mac so I can tell you exactly what to do. Ok thanks. Also I can't get it to change the image editor to GIMP. Everyone: I'm really busy right now, I will try to get you answers but I'm stuck at a hotel/airport now with sucky wifi. I've already made part of my texture pack, yay! Thankyou MightyPork and Jiggy! It's a great tool I'm struggling to use it for what I want though, due to using resource packs designed for mods; specifically feed the beast mod pack. It appears the assets for the mods don't show up in the editor, is that correct? If I have to go into the file manager and edit them manually, that's fine. My real problem comes when I try exporting the pack to minecraft. I tried a really simple edit, just changed the colour of the torches, so I could test the export worked, but when I load the pack in minecraft it just crashes. Could you maybe say if I'm doing anything wrong you can think of? Um...Jiggy12321, did you forget about me? You still haven't answered my question. Resource packs are meant to be in .zip format. Any other format (RAR, 7z, etc.) will not work. I zipped the resource pack file but when I opened it, it is just the default look. Did you archive it right? You know, I really like it but I have 1 problem: The backgrounds are white, so it looks like what I want it to, but there's a white square around it. I think it's because I use MS Paint. Hi, can I open 3D textures? I tried but it was opened like a normal one.